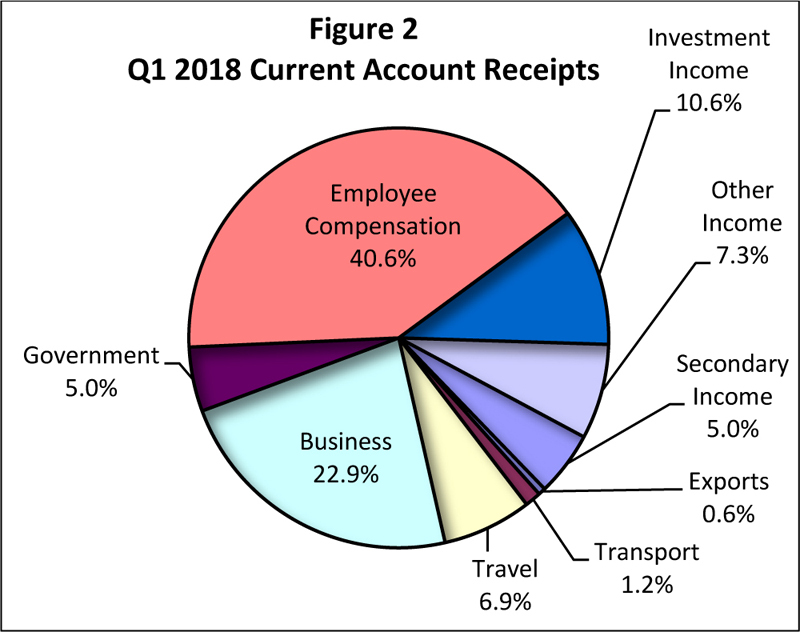 The Bermuda current account recorded a surplus of $343 million in the first quarter of 2018, according to the most recent Balance of Payments and International Investment Position report. 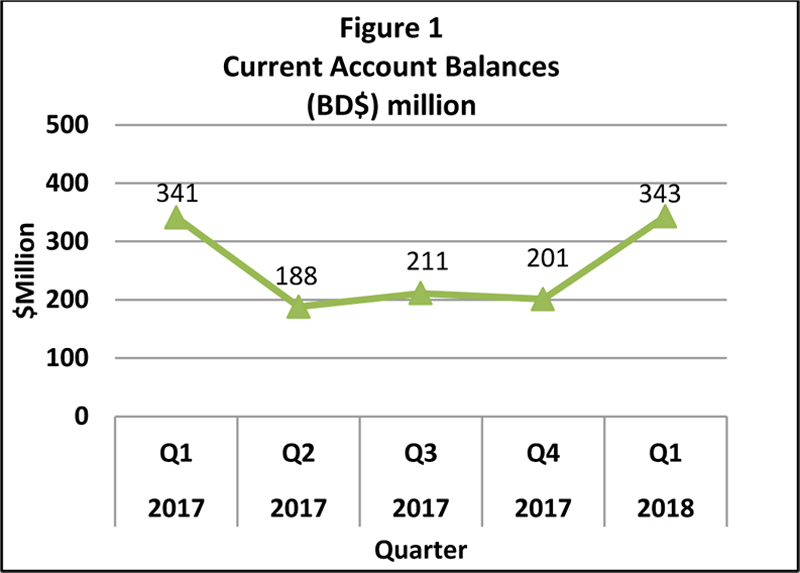 “The current account surplus stood at $343 million for the first quarter of 2018. This represented a $2 million increase from the $341 million surplus in the first quarter of 2017,” the report said. “The rise in the current account surplus reflected mostly a higher surplus on the services account and a lower deficit on the goods account. “Year-over-year, the value of imported goods decreased to $231 million. This was reflected in a $26 million decline in imported goods from Bermuda’s largest trading partner the United States of America. In contrast, imports of goods from the Caribbean and Canada fell by $8 million and $5 million, respectively. “Among the commodity groups, the fall in imports was reflected primarily in the imports of finished equipment which decreased by $9 million, machinery which fell by $8 million and transport equipment which contracted by $6 million. Import values for the commodity group chemicals and the commodity group food, beverages and tobacco also declined by $1 million each. Revenue earned from the exports of goods was unchanged at $5 million during the quarter. “The surplus on the services account rose to $83 million during the first quarter of 2018. The increase reflected a lower deficit balance on transportation services which fell $17 million during the period. Payments for freight transport declined in line with the fall in imports while receipts from courier services accounted for the rise in overall transportation services receipts. do these figures show the payments to Ewart Brown and other cronies? what about the new payment to Ewart Brown? what part of the budget is that in?